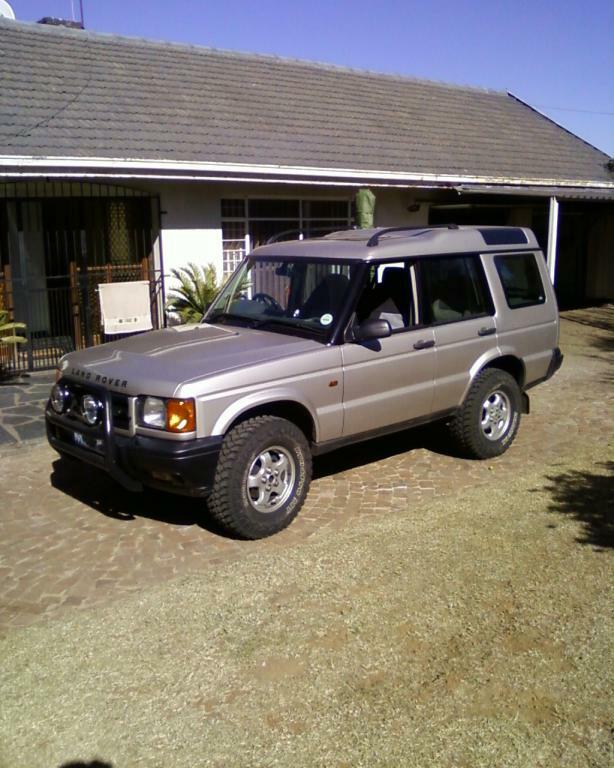 Land Rover Forums : Land Rover and Range Rover Forum > Land Rover Model Forums > Discovery Series II > BFG K02's 245 70 16's or 245 75 16's? BFG K02's 245 70 16's or 245 75 16's? Need some All Terrain tires for the Caribbean. The Island gets strong rain storms, so they need to be good in hard rain, wet roads also muddy spots, sand and rocks. Thinking of BFG K02's. Wondering how good they are in the rain, mud and sand? What's the best size 245 70 16's or 245 75 16's? How much room for flex with the 75 with no lift. Right now I have 245 70 16's all season. It’s been a while since I had stock size tires&#x1f609;but as I recall stock was 255/65r16?? Both of your choices are 245mil bead to bead (smaller) than stock. The 70 series being 5% more sidewall / 5% less footprint and the 75 being 10% more sidewall 10% less footprint so substantially narrower in appearance. Both should clear but will handle at speed different than stock. That on top of being a very square shoulder design. Are you really going to put it to a full flex??? I rather go narrower and taller to lower the air on tires to drive on sand. There are a lot of sharp rock areas also that you need to cross to get to hidden beaches. I know that the stock size is 255 65 16 for the D2. But I rather go just a bit narrower and 1" taller. The truck came with 245 70 16's, which is 1/2" taller or so than the stock tire. Thats why I was thinking 245 75 16 and lowering the pressure when driving on sand. BFG KO2's do come in the 245 70 16's. What size tires do you run? In actuality doing the math 245/75 is only 1/4inch taller than the245/70 and less than 1/2 inch narrower. The tallest sidewall is of course the 75 series tire but even that is only9.125mm ( .359” )taller than stock. I can see the taller sidewall but why do you want narrower? I wonder if taller but similar width or even a bit wider may work better for you. The 245/75 is 28mm (1.1”) narrower and really only a bit more than 1/3” taller! Got to love those numbers eh! I went 245/75 R16 AT. I get no rub and I like the look a lot better. So you are saying 255 70 16? instead of the 245 75 16. Yeah - in my album. The bumper album - pic with the cracked bumper is the old tires. The end result is the newer ones. Saw the pics, the lift looks good, and I see what you mean. you did not really need the a lift with that tire size. I also like the gold color of the D2. It looks great when you remove the black plastic fenders on the gold color gives it a more rugged utilitarian look. Like the one on this picture with the bull bar. Its a great look. Looks like he has 265 75 16 BFG K02's. A bit too big for my needs. Would be your choice ?? Just remember that the 245 is not the width of the tread. It is the width of the widest part of the sidewall. The actual width of the tread can vary considerably between different brand/model of tyre. I have had 255 tyres where the tread was narrower than a 235 tyre. The tyres that have tread running down the sidewalls (like the BFG K02) usually have the widest tread on the ground. For sand driving you want as wide a tyre as possible with an aggressive tread. I think 255 75 16 might be too big for stock hight? Still thinking 255 70 18. I don't really want such a big tire. The reason I want an AT and not an MT tire is because I will be mainly on road, then off road to get to hidden beaches through sand, sharp rocky areas and some green lawn areas. But the island gets hit by quick punding rain storms that flood areas, So I want to make sure I don't hydroplane while driving on poorly kept roads from the storm. That's why I thought of the K02's since I don't want a lift. I want at least a 1" hight tire so I can deflate the tire to drive on sand. So still thinking of 245 75 16 or 255 70 16. 255 75 16 might be to big to fit without a lift. Is the D2 16" rim too big for a 245 should I stay on a 255? Keep thinking that taller is better than wider for deflating reasons. When you deflate a taller tire you have more foot print.